The crash of an airplane carrying both Rwandan President Juvenal Habyarimana and his Burundian counterpart Cyprien Ntaryamira, on April 6, 1994, around 8:30 PM, is generally considered to be the event that really triggered the Rwandan genocide. 25 years later, however, it is still unclear who shot the plane. 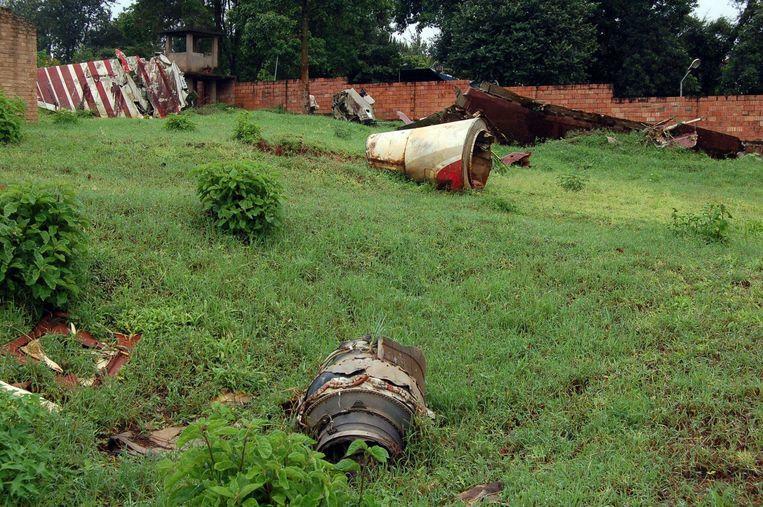 Nor is it clear how many Rwandans died in the weeks and months after the crash of the Rwandan presidential plane: the numbers circulating vary between 500,000 and 1 million Rwandans. Months before the genocide on the Tutsis began in April 1994, all signals in Rwanda were red. Yet the international community never really took action to avoid a major disaster. In October 1990 it became clear for the first time that things were going wrong in Rwanda. Then the Rwandan Patriotic Front (RPF) from Uganda and with the support of then (and current) President Yoweri Museveni invaded the north of Rwanda, with the intention of overthrowing the Habyarimana regime. After 17 years in power, the leadership of the MRND unit party was in any case somewhat wretched: there were reports of corruption and human rights violations, of which Tutsis, in particular, were the victims. The RPF consisted of Tutsis who had fled Rwanda years earlier and wanted to regain power. In the months following that invasion, a guerrilla war took place between the Rwandan government army and the RPF, especially in the inhospitable north of the country. In parallel with the first raids, and under heavy international pressure, Habyarimana was forced to abandon the MRNC-led regime. From mid-1991, dozens of large and smaller parties were established, and a new concession followed in the spring of 1992: the opposition received some key posts in the government. The opposition ensured that negotiations with FPR were started a few months later in Arusha, Tanzania. Against the background of the peace talks in Arusha, the discourse in Rwanda itself was overwhelmed by extremist voices. On the Hutu side, it happened that supporters of what later became known as ‘Hutu Power’, who could get rid of their message at ‘hate radio Television Libre des Mille Collines’. Presenters from Mille Collines described Tutsis as cockroaches that had to be killed. Under the influence of that propaganda, and prompted by the guerrilla war, hundreds of Tutsis were killed by their Hutu neighbors. Representatives of those extremist voices took part in the peace talks, as did the rebels of the RPF. Habyarimana and the moderate opposition were also represented in Arusha. At the beginning of 1993, an agreement was signed on a division of power from which the extremist Hutus were excluded. The extremists reacted furiously, and the announcement of the sharing of power led to new massacres that claimed hundreds of Tutsi lives. In response, RPF leader Kagame put an end to the armistice and launched an offensive towards Kigali. That triggered a large stream of refugees, and many refugees ended up in camps around Kigali. In the following months, the mood became further heated, with the emergence of the Interahamwe militia in early 1993. The militias consisted of young people from the Hutu Power ranks of various parties. This militia, trained by the Rwandan army, carried out new murders, again mainly on the Tutsi population. Nevertheless, the negotiations in Arusha continued all along, albeit with difficulty. The Arusha agreements were finally signed on 4 August 1993. ©AFP – Fragments of the plane that was shot down. A UN force, UNAMIR, was set up to oversee peace and the implementation of the agreement. Around the time UNAMIR was deployed in Rwanda in October 1993, moderate Hutu president Melchior Ndadaye was assassinated in neighboring Burundi by extremist Tutsi generals. For Habyarimana and his extremist entourage, the murder signaled that a division of power with Tutsis would never work. According to observers, after that murder, the plans to proceed to a “final solution”, the murder of the Tutsi population, became more concrete. In the following months, it remained restless until April 6, 1994, when the Rwandan presidential plane was shot down. This completely erupted the conflict. Whoever shot the plane remains a mystery 25 years later. According to the current regime, this was done by Hutu extremists, who felt that Habyarimana had made too many concessions. Others claim that the RPF is behind the attack. It is certain that the crash triggered the genocide. 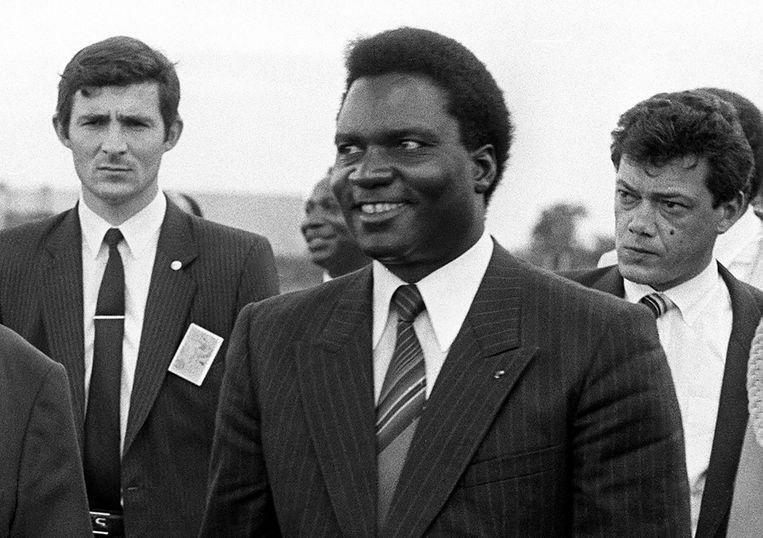 The army took control, and in the first hours after the crash, Prime Minister Agathe Uwilingiyimana, first in line to succeed Habyarimana, was killed. The ten Belgian blue helmets that were responsible for its protection were also killed. The interim government, controlled by the army, made possible a genocide that claimed hundreds of thousands of lives in a hundred days. The counts vary between 500,000 and 1 million, and the UN figure of 800,000 deaths is the most frequently cited figure. No one was spared: men, women, and children were killed throughout the country, and moderate Hutus were killed in addition to Tutsis. Along with the start of the genocide, the RPF launched a new offensive from the north. The UN force was unable to deal with neither the genocide nor the advancing RPF because the UN mandate was too limited. A few days after the murders of the Belgian blue helmets, Belgium decided to withdraw, so the mission was actually beheaded. Shortly after the RPF conquered Kigali in early July, a government headed by Pasteur Bizimungu was established, but that government was de facto controlled by Paul Kagame, vice president and minister of defense. In 2000, Kagame really became the undisputed president, and he will still be in 2019. In the last presidential election, in 2017, he won just under 99 percent of the vote.